A star-viewing party. Photograph by Dennis di Cicco. Science journalist Babak Tafreshi leads a wilderness photography workshop related to the Bates College Museum of Art exhibition Starstruck: The Fine Art of Astrophotography during October. Tafreshi leads the workshop in Maine’s Moosehead Lake Region Oct. 17-20. The workshop takes place at West Branch Pond Camps, Maine’s oldest continuously operating sporting camp, located near the town of Kokadjo. Participants must provide their own transportation, but carpooling is encouraged and the museum will coordinate it. Cost of the workshop is $500, including a nonrefundable reservation fee of $300. There is space for up to 15 participants. The trip takes place regardless of weather, offering artists the opportunity to photograph Maine’s wilderness, or just a chance to relax. To register, please contact Anne Odom at aodom@bates.edu or 207-786-8212. Tafreshi specializes in photographing the night skies in the context of familiar landscapes, and his work stunningly captures the evocative power of the stars. 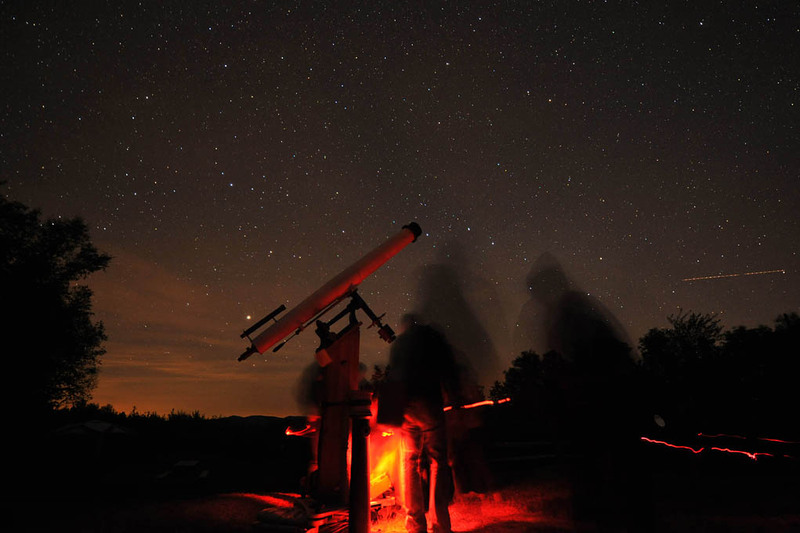 In the West Branch Pond Camps workshop, he will show that earth-and-sky imaging can be fast and easy, making it a fun introduction to astrophotography. It also offers rewarding challenges for artists making more demanding images using advanced techniques. Earth-and-sky astrophotography also gives the artist flexibility with regard to weather; even when deep sky imaging is not possible due to a bright full moon or mostly cloudy skies obscuring the stars, there are great opportunities to create powerful images that capitalize on the contributions of weather to the night sky. • Secrets of landscape astrophotography: exposure, illumination, etc. • Basics of processing your astrophotos. Included in the workshop fee are lodging, meals, hot showers, use of canoes and kayaks, and access to hiking trails. Participants must provide: appropriate clothing, including safety-orange hunting clothes; personal basics; photography equipment with extra batteries and chargers for all devices; sleeping bag (linens are provided, but for an October trip, this extra layer is important). Not essential, but recommended, are binoculars, telescope(s), solar telescope or filters; planisphere, star charts, thermal insulating bottle and backpack.